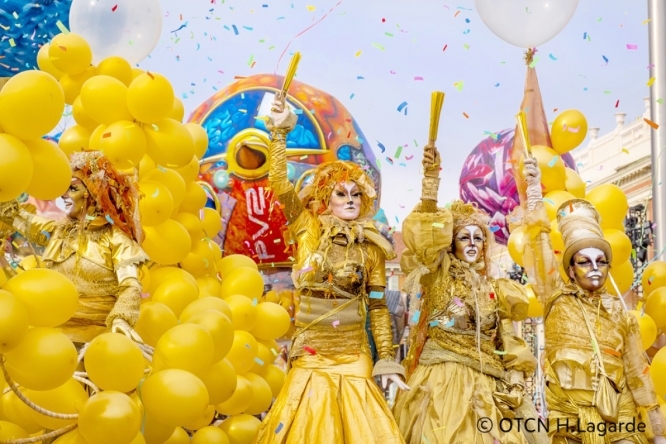 Since 1873, beautifully decorated floats and parades have added joie de vivre to Nice’s sunny streets every February, and the carnival is now one of the great highlights of the city’s calendar. Each year a theme is selected to lend a little Niçoise history to the celebrations. As Nice’s Victorine Studios celebrates its 100th anniversary, this year the festival pays homage to cinema giants. Marcel Carné, François Truffaut, Jean Cocteau, Alfred Hitchcock and Woody Allen have all passed through the studio doors therefore floats themed around ‘The King of Cinema’ will feature throughout the 11 grand events taking place around Place Massèna and Albert 1er gardens. Flowers of the French Riviera perfume the air during the unmissable flower parades and things get all the more spectacular come night time, when the parade of lights sets the city ablaze on Saturdays and Tuesdays. Expect mesmerising dancing, international musicians, a buzzing atmosphere and a good dose of Nouvelle Vague cinema. 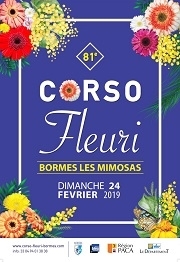 The idyllic hilltop village of Bormes-les-Mimosas becomes even prettier during this elegant annual affair in celebration of the village’s eponymous mimosas. The feathery flowers bloom in February and their delicate scent fills the medieval village. 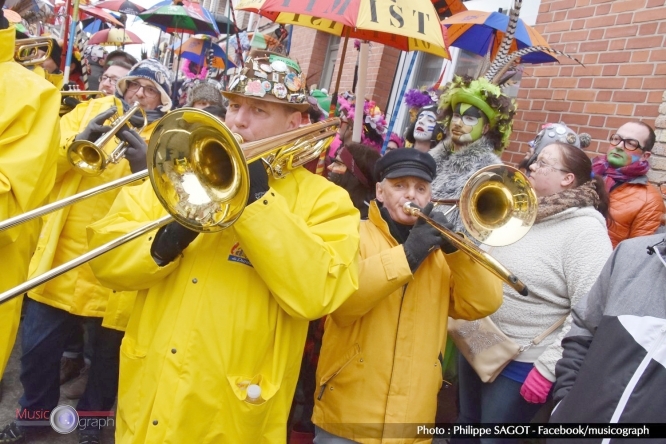 Great parades featuring floats decorated with over 80,000 flowers snake through the historic centre attached to tractors, as residents revel in the arrival of Spring to the Côte d’Azur with music and dancing. The festivities culminate in the Battle of Flowers before awards are handed out for the best flower arranging. This film festival is the second largest in France after Cannes. The cinematic works of over 3,000 cinéastes are screened in 13 cinemas and the beauty of short films is that you can mix and match to suit your own film-going taste. From documentaries to dramas and comedies, all genres are present and this year, there is a special focus on films shot in the Auvergne-Rhône-Alpes region. There are French subtitles on all films while English subtitles accompany screenings at Maison de la Culture theatres. Alongside the programme of films, there is also the opportunity to meet directors and take part in film- making workshops. Food and wine of ‘the garden of France’ is splendidly showcased at this festival of gastronomy; a foodie’s paradise chock full of fine purveyors of regional produce. Try fouace, a traditional bread baked in a wood-fire oven, often served with rillettes – a textured pâté of pork, salmon or duck. Fish is excellent here too; from lighter-than-air beurre blanc to flavoursome eel stewed in red wine for matelote d’Anguilles. Wine tasting, cooking ateliers, sommelier and pastry workshops are just a few of many activities around the city that teach the art de vivre à l’angevine. Encased inside its squat, wax sealed 62cl clavelin bottle, Vin Jaune (yellow wine) is the pride of the Jura region. Its distinctive flavour comes from the unique winemaking and fermentation process, after which the wine is transferred into mature oak barrels. Grown from the Savagnin grape in the appellations of Arbois, Côtes du Jura, Château-Chalon and l’Etoile, the white wine is best enjoyed with morsels of local Comté cheese thanks to its strong, pungent flavour. An entry ticket to this lively festival gets you a glass and ten tasting tickets inside the wine cellars. Paris may be the original city of love but Strasbourg gives the capital a good run for its money over the Valentine’s period, with more than 40 romantically themed events held in the city’s fairy-tale streets. The intimate dinners held in unusual locations, Valentine’s balls, poetic concerts and glamorous parties are a far cry from the clichéd roses and overpriced meals of previous Valentine’s Days. There is something quite special about night time skiing, only permitted in a handful of ski areas at specific times of the year. Head to Pra Loup, a dreamy little ski resort in the Alpes-de-Haute-Provence for a moonlight ski on the six pistes, open from 18.30 until 22.45. Let your hair down post-ski in one of the bars on the mountain, where DJs are rolled out along with copious amounts of vin chaud. In the high altitude Ubaye Valley (Alpes de Haute-Provence), runners take on the sizeable challenge of a cross country race through the snow. of Saint-Paul-sur-Ubaye at 1,450m, the course weaves through the mountains taking in snow-filled passages 2,250m up, at the foot of the valley’s second highest peak Brec de Chambeyron. Experienced athletes run the 22km loop while a 9km Découverte course is open to all. Watch the action unfold from the village amidst an electric atmosphere. Get an well-rounded understanding of France’s rich history of visual arts at this bewitching exhibition. Held at the Musée d’Art Moderne et Contemporain, France’s major art movements are explored via 51 iconic works of art by the likes of Gustave Courbet, Claude Monet, Pablo Picasso, Henri Matisse and Pierre Soulages. From 1800s realism to abstract contemporary creations of the 1980s, witness how each art movement birthed the next: Impressionism, Symbolism, Cubism and Surrealism all feature. Perfectly situated Théoule-sur-Mer, Alpes-Maritimes, rests at the foot of the dramatic Estérel Massif overlooking tranquil calanques. There is no better place for a kermesse (festival) of ocean-inspired gastronomy. Throughout the month the town’s best restaurants, including seafront establishment Chez Philippe and Aux Ingrédients, offer creative five-course tasting menus, using freshly caught fish and seafood. Local wine caves partner with restaurants, ensuring excellent wine pairings with each dish. Epic scenes of religious miracles and mythology loom large in the private art collection of Helena and Guy Motais, avid collectors of French and Italian paintings from the 17th and 18th centuries. It is the first time that the nearly 80 paintings from their personal collection have been displayed in their entirety, to majestic effect. Marvel at the impossibly detailed canvases of Simon Vouet, Gabriel- François Doyen, Mattia Preti and François Boucher, as exhibited at the Fondation Bemberg – housed in the magnificent Hôtel d’Assézat. This festival is arguably one of Europe’s prettiest celebrations. The tradition was born back in 1935 when Menton was Europe’s number one lemon growing region. 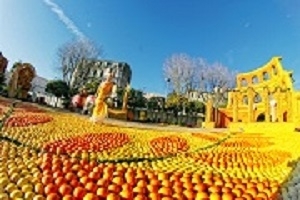 An exhibition of sunshine coloured citrus was organised for members of royalty staying in the palaces on the French Riviera. These days, an eye-popping 145 tonnes of fruit is transformed every February into stunning sculptures. This year’s lemony celebrations revolve around the theme of fantasy worlds. Expect otherworldly dancing, international music and a staggering visual feast whose creativity and originality is unparalleled. On the three Sundays, parades named Corsos des fruits d’or take place on the Promenade du Soleil and twinkling lights fill the Jardins Biovès, where artfully arranged citrus fruits create a fairytale atmosphere. 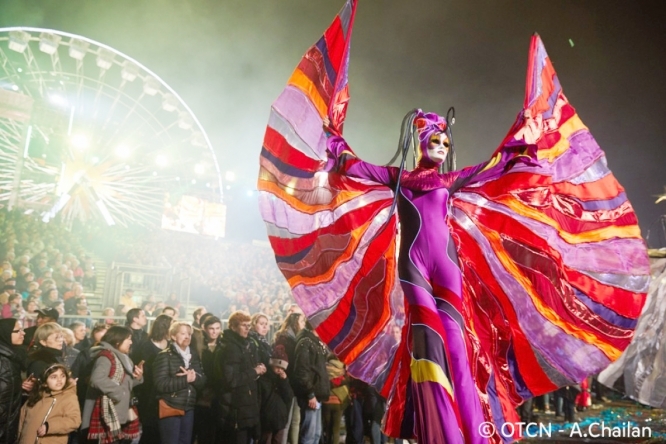 There are firework displays, an orchid festival, an artisan fair, plus theatre and street performances. A quarter of a million people come to appreciate the zesty designs, so reserving tickets is a must. 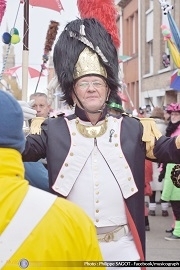 The coastal town of Dunkirk explodes into a riot of colourful parades, a hotchpotch of weird and wonderful costumes and jubilant music as an estimated 40,000 people take to the streets to join in with the much-anticipated annual festival. Famed for its mad celebrations, grand balls and epic parades are held every Saturday leading up to three days before Ash Wednesday – known as Trois Joyeuses (Three Joyful Days). The tradition dates back to 1676, when extravagant parties were thrown in honour of local fisherman who were setting off on a six month voyage to catch cod in the North Atlantic. Look out for crazy masks, long-handled umbrellas and towering statues carried across the town. Make a beeline for Place Saint-Valentin on the final Sunday afternoon in time to catch a herring, 500kg of which are thrown into the crowd by the town’s mayor. Later that evening, join hands with revellers for the Rigaudon, a lively folk jig danced in honour of 17th century naval officer Jean Bart.